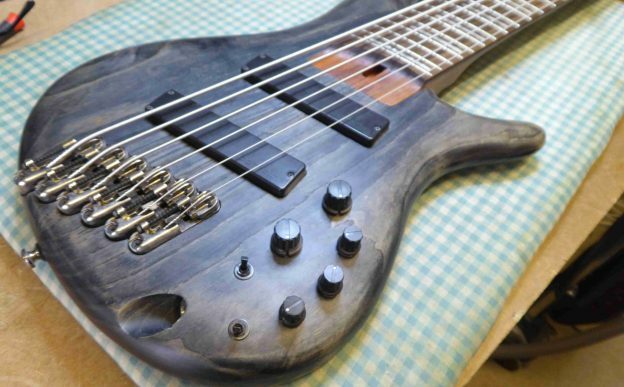 It seems 6 string Bass Guitars are like busses. 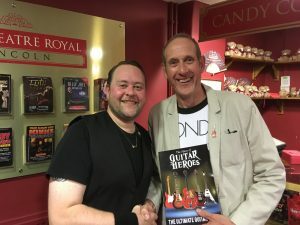 You wait for ages and then 2 come along at once! I don’t actually remember having another one through the workshop in the last 5 years, and now the second one in 3 weeks! Just in for a setup. But a rather lovely piece of wood with a great finish. 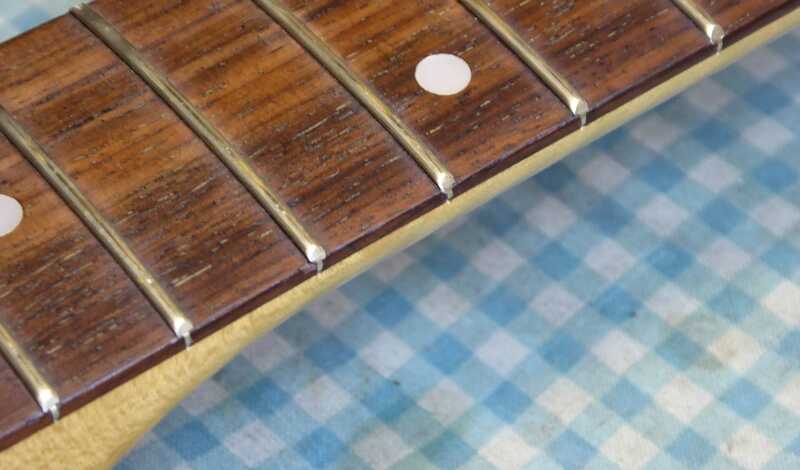 The action up at the first fret was a little low so replaced the nut with a new one. 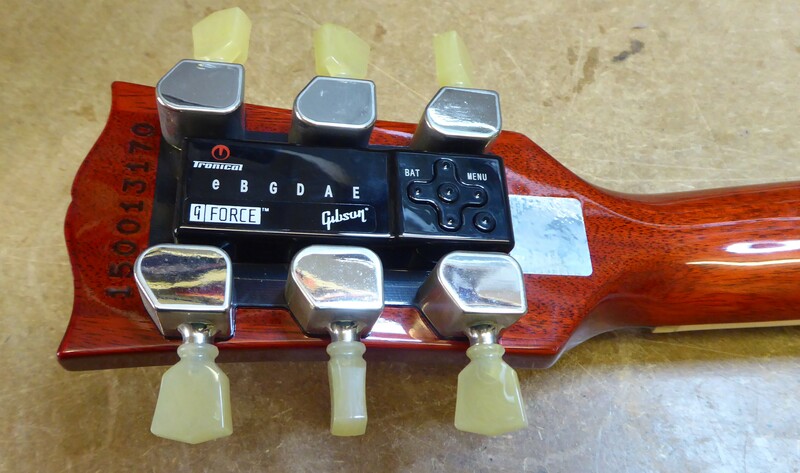 It’s also got fan frets which rather complicated the issue, with the nut at that really odd angle. It’s a simple case of copying the existing nut. 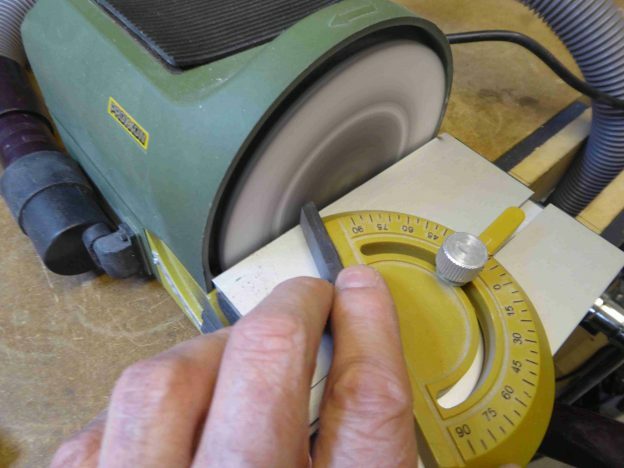 Using the old nut as a guide I set the guide for the grinding wheel to get the ends right. Likewise with the old nut as a guide I started the slots off. With the strings fitted I was able to assess the setup. 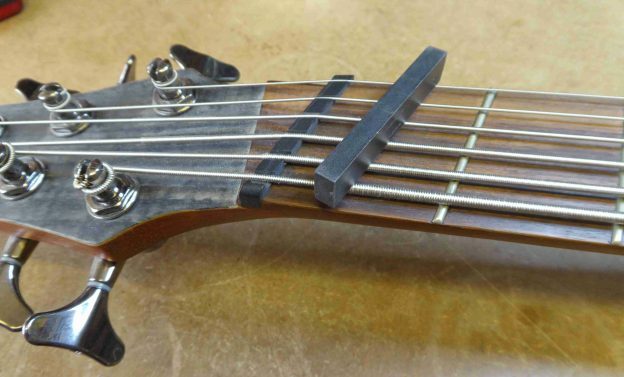 With the fan frets though it wasn’t possible to use the straight edge so fit the capo at the first fret and press the string down at the last. 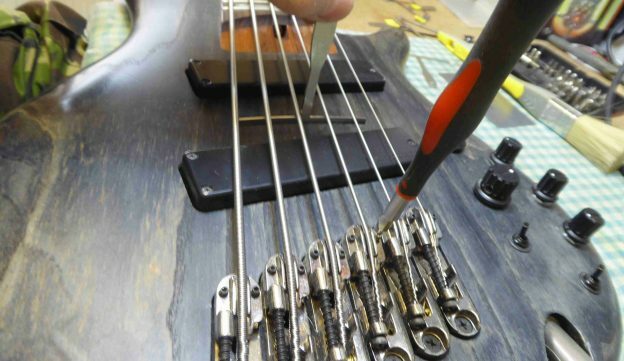 An adjustment on the truss-rod to get the neck relief right. 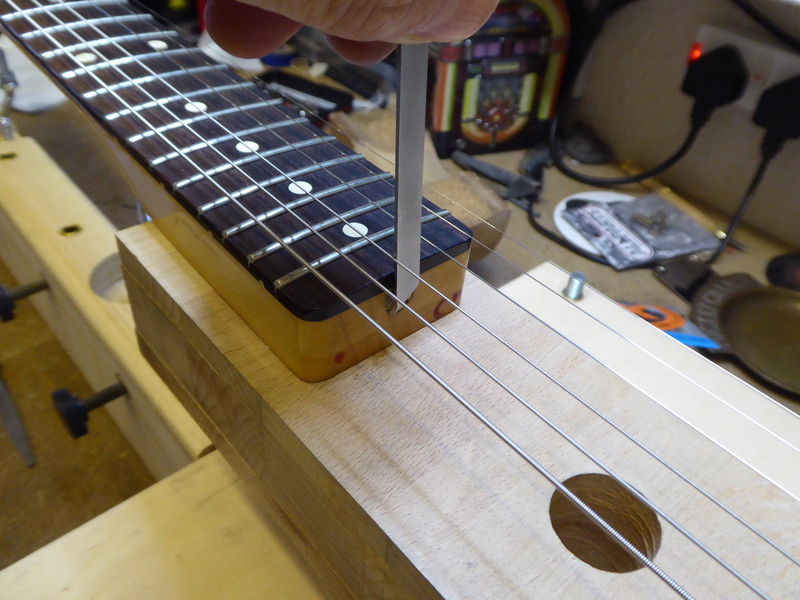 With that done on to the bridge height, measuring the action at the 12th fret. with an adjustment there. Starting with the outside strings. 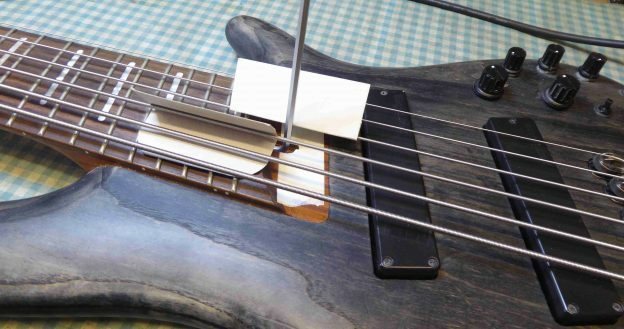 Setting the other strings wasn’t that easy either. 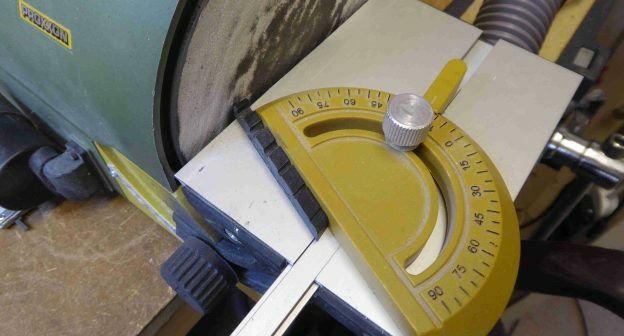 My radius gauge isn’t wide enough! Back to that new nut. The action was way too high. so cut the slots down. Hard work with such huge strings and a long way to go! 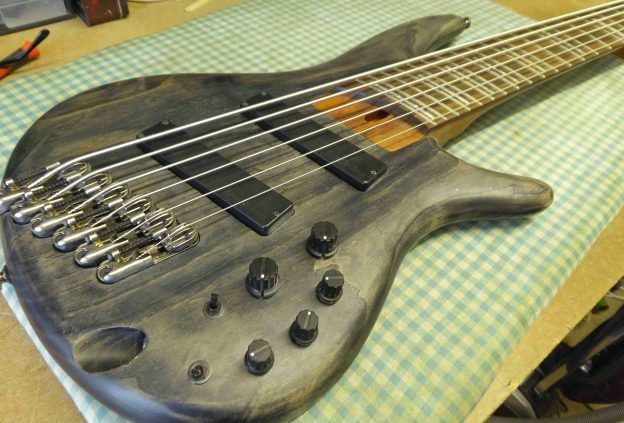 With a tweek of the intonation it’s ready to go. So there it is. What a monster!! !